I’m now about half way through my novel set in the Isle of Wight festival of 1969 – more discussion of that to follow. 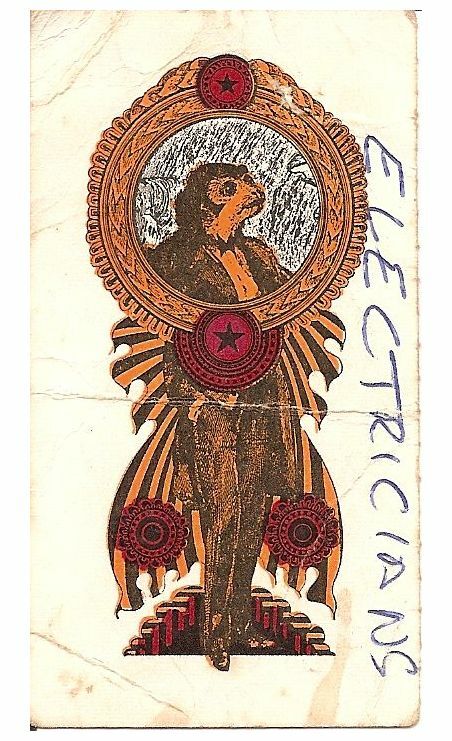 The work’s been considerably slowed down by the fact I’m moving house and (see article below) the death of my dad, festival electrician Ken Blake. 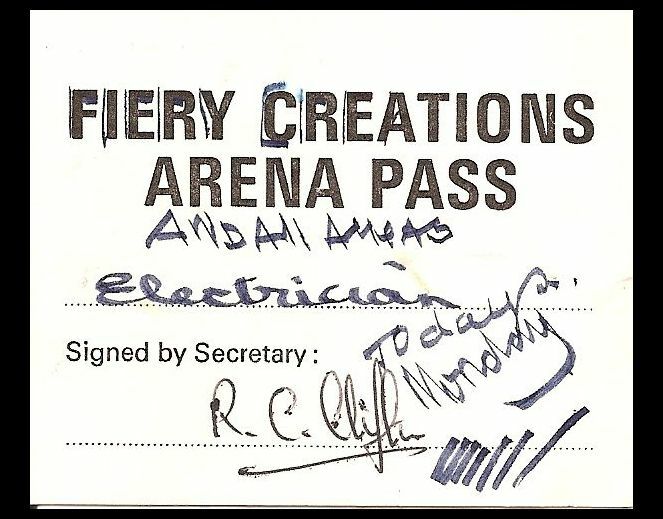 However, sorting out his house and mine has unexpectedly thrown up two rare mementos of the sixties event: an arena pass modified to include all areas (i.e. backstage) and a second pass which I think was probably used to gain access to the VIP area in front of the stage – I was in that area for the Who’s performance (fingers jammed in ears due to the ear-splitting volume). 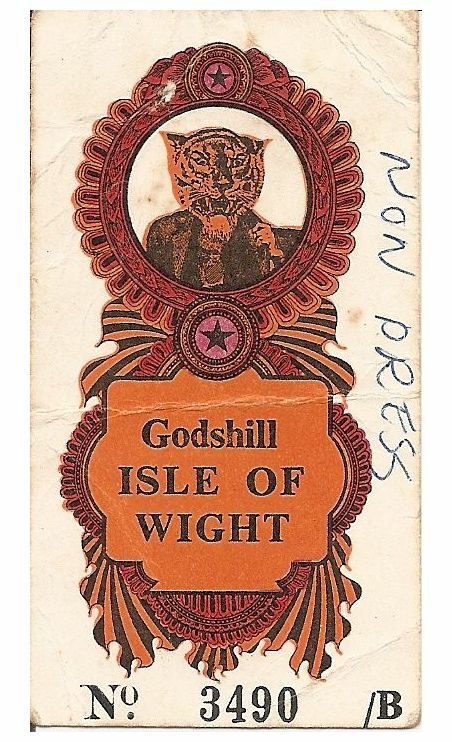 As you’ll see the pass is actually a redundant ticket from the much smaller first IOW festival at Godshill in 1968 – I imagine these must be pretty rare. I’ve been asked to do a podcast by Ventnor Blog so may visit the island again shortly – when I do I’ll donate the passes to the festival museum at Dimbola Lodge. 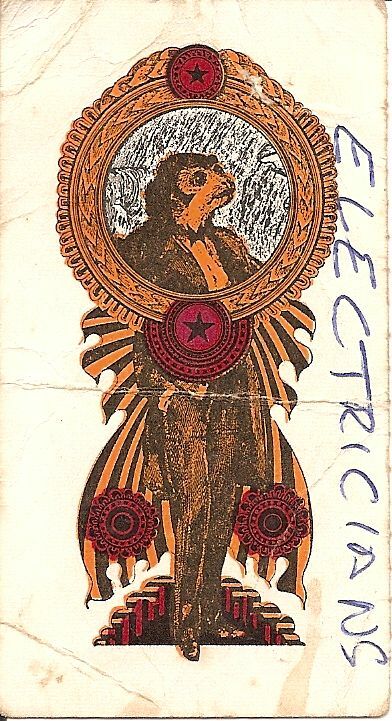 The huge task of providing power and light to the 1969 Isle of Wight festival was taken on by Ken Blake, my dad, who got the gig having previously been electrician to the Island Industries Fair and Ryde Town Hall Show. Ken, a classical music fan, always credited the festival with changing his fortunes from continual struggle to relative prosperity, and it was appropriate that he died last weekend, at 88, on the 40th anniversary of the event. Providing electricity to the 69 festival was an exhaustive job, right down to the last night of the event, which Ken spent patrolling the perimeter fences trying to save his cable and fluorescents from disappearing into the many bonfires which were lit by freezing (or maybe disappointed) punters. Ken was supported by a small team of electricians, who (in keeping with the festival) had a friendly comraderie and were always treated as equals. Thanks to the fact that Ken wisely insisted on being paid before the event, they were also. Woodside Bay did open Ken’s eyes to some of the new music that was around. He later became a big ELP fan (Keith Emerson played Friday night with the Nice) and was proud of his unique cine footage, including the Who arriving by helicopter, which has now gone to the festival museum at Dimbola Lodge and was featured in the movie about the Who’s managers, Lambert Stamp. Just before he died I was able to show Ken some shots of the festival site as it is today, and I shall post these shortly.